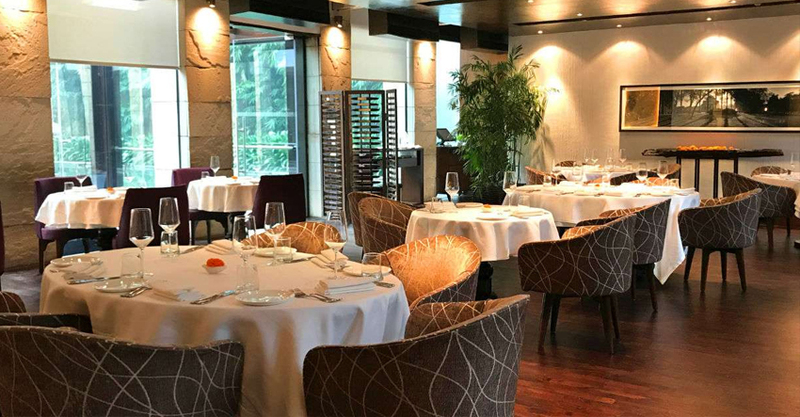 Indian Accent, Delhi was awarded the 'Best Restaurant In India' at Asia's 50 Best Restaurants 2019. This is the fifth time in a row that Indian Accent picked up the coveted title. Indian Accent shared the news on Saturday via their official twitter handle and Indian foodies have not stopped cheering ever since. Asia's 50 Best Restaurants list is published by William Reed Business Media, which also publishes The World's 50 Best Restaurants. The award ceremony that took place in Macau, named Odette, Singapore as Asia's Best Restaurant. Odette trumped Gaggan, Bangkok to win the topmost honour this year. Gaggan, which is run by Indian chef Gaggan Anand retained the title of The Best Restaurant in Thailand. Indian Accent, New Delhi stood tall at No.17 in Asia. Speaking of international accolades, Indian Accent also made it to Time's list of 100 greatest places for 2018. Indian Accent, is located at The Lodhi Hotel in New Delhi. Serving flavoursome Indian food for close to a decade, Indian Accent's culinary affairs are helmed by ace Chef Manish Mehrotra, who started the restaurant back in 2019. He collected the award in Macau on behalf of Indian Accent. Indian Accent's innovative take on traditional Indian dishes and cosmopolitan vibe has struck a chord with food connoisseurs from across the world. Indian Accent is open seven days a week and some of it's most sought-after dishes are Daulat Ki Chaat, Duck Paratha, Pork Spare Ribs, Pulled Pork Bhuna Tacos and Potato Bhuna Kulcha.